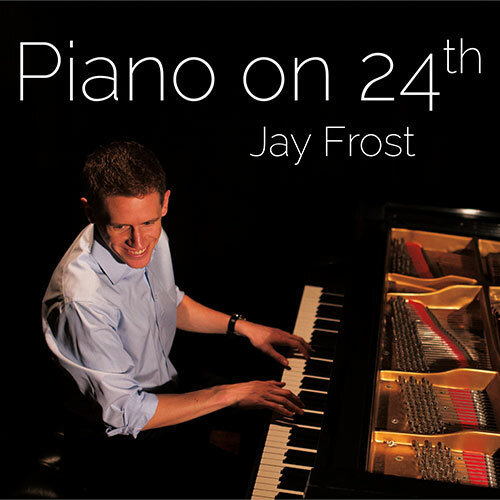 Piano on 24th is an album of solo piano pieces, comprised of joyful, pure, inspirational compositions which segue into colorful tunes with flares of minor themes, flamenco, and rock piano. All songs are composed and performed by Jay Holcomb Frost – some just in time for the recording, others over 10 years ago. Piano on 24th was recorded by RHL Audio on Jay and Tessa’s Baldwin SF-10.